Leave Xiamen in private coach and visit two places with the most breathtaking Hakka tulous: Tianluokeng Tulou Cluster (田螺坑土楼群) and Chengqi Lou (承启楼). The Tianluokeng Tulou Cluster has has 4 round tulou surrounding a square one, famously known as four dishes and a soup; and Chengqi Lou is the largest grandness circular tulou composed by 4 circular buildings. We will spend the night in Xinquan Town of Shanghang County. Visit Juxi ‘lounge’ bridges (莒溪廊桥) in Juxi Town, Liancheng, Ming & Qing dynasty folk houses in Peitian Village (培田古民居), Liancheng and Yunlong Covered Bridge (云龙桥) built in 1634 in Xialuo Village, Liancheng. We will spend the night in Liancheng. Explore the Taoyuan Cave Scenic Resort (桃源洞) in Yong’an City. It is composed of Taoyuan Cave, Xiuzhu Bend, Baizhang Cliff, Binglu Pool and Geli Scenic Spot and "A Gleam of Sky". The name "Taoyuan" means fairyland. Experience the bamboo raft and climb the Yunyou Peak, taste the Dahongpao Tea, walk through the narrow ‘A Gleam of Sky’ and watch the “Wuyishan Impression” dance performance in the night. 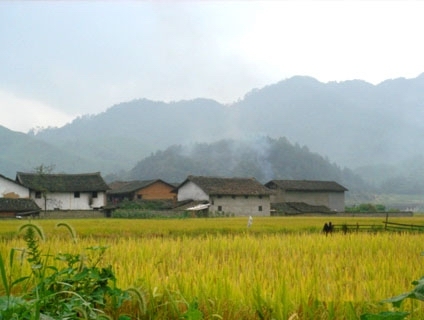 A half day side trip to the ancient Xiamei Village (下梅村) which is also an important part of the World Natural and Cultural Heritage Site in Wuyi Mountain. 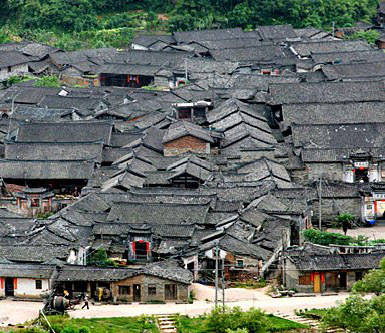 It is well known for its vernacular Ming and Qing Dwellings featuring exquisite brick, stone and wood carvings. And spend the night either in Fuzhou or Quanzhou. Pay a visit to the “Three Lanes and Seven Alleys” (三坊七巷) which is a critical symbol of Fuzhou as a historic city; the Fuzhou Panda World and the Xichan Buddhism Temple (西禅寺). 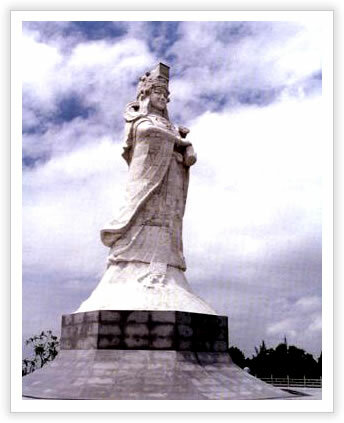 Visit the Kaiyuan Temple (开元寺) for the pagodas, Tianhou Temple for the Mazu Goddess (天后庙), the Guanyue Temple (关岳庙) for both general Guan Yu and general Yue Fei and the unique oyster dwellings (海蛎房) before we drive two hours to return to Xiamen. Wuyi Mountains: a national 5A-level scenic area and a World Heritage site (Day Four).